Internet serves us in many ways and offers beyond imagination. Today Spanish, German and other vastly used languages are available to learn over internet. Everything you need to have a desire and a well-built application like Duolingo Language Learning. Duolingo is one of the best language learning software available over internet in many extent. It offers language learning sessions in an entertaining method. It’s loaded with tons of features to turn your head around. Currently Duolingo offers six different languages for learners. If you are planning to go for a Europe tour within a very short notice and you want to speak German in Germany then hold tight. If you’ve got a device to connect with internet then you’ll need nothing else but a strong desire to speak German. What is Duolingo Language Learning? Verbal communication is all about understanding the sounds coming out of others mouth. Unfortunately the entire humankind don’t speak the same language to communicate. So anyone who might want to communicate with a particular person without any knowledge of encoding his utterances has to learn that person’s language. Duolingo Language Learning helps people to understand each other through providing language learning lessons in six different languages. Primarily it offers English, Spanish, French, Italian, German and Portuguese. Chinese and some other language courses are also about to begin. Duolingo doesn’t charge for its service and anyone can contribute in the crowd sourced translation platform. An active online community is working every day to make it more convenient. Duolingo was launched in 19 June 2012 with their mission to educating people as global citizen by teaching them different languages. Duolingo Language Learning has lot more than 10 million daily users and expanding. It is one of the most preferred online language learning platform at the moment. Duolingo was ranked as number one language learning application at google play store. 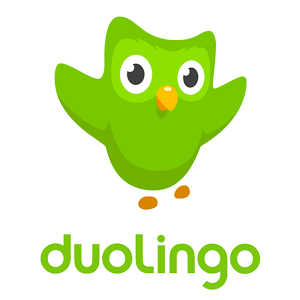 Since Duolingo Language Learning is a free to use application it attracts tons of enthusiasts. The user interface is pretty much understandable for your 75 years old granny. Even your granny can compete with other grannies and test her efficiency through online competitions. Learning sessions start with simple words from our everyday life according to their importance in our lifestyle. This is much more effective to hold subscribers attention till the end where it ends up a lot earlier in other apps. Duolingo stores user’s complicacies or mistakes through his or her progress and enables the opportunity to review later. It is accessible from many platforms including web, android and iOS. Only six language doesn’t serve the purpose of educating people as global citizen though it has the most used ones. Still you can’t plan a trip to Africa and Asia and rely on Duolingo. One other very annoying thing is, you can’t skip any lesion or session if you want to. So, it is less an application and more an institution. Sometimes the crowd sourcing platform goes wrong and everything gets real messy. On occasion it even comes up with peculiar sentences with poor or wrong grammar. Duoplingo is fun to use and the user experience is far better than the competitors. It is certainly the best of its kind but still there is plenty of room for further development. I really love what Duolingo offers already and made promises for future. We don’t need a space aged technology to dissolve the communication barrier among nations. Duolingo serves a simple need of humankind in an incredible way.